Our Corporate Meals on Wheels Volunteer Program gives employees an opportunity to enjoy ‘a special kind of lunch ’ by helping to deliver meals to home-bound seniors during their lunch hour. Spend 2 hours, a minimum of once a month, delivering meals to people in need. 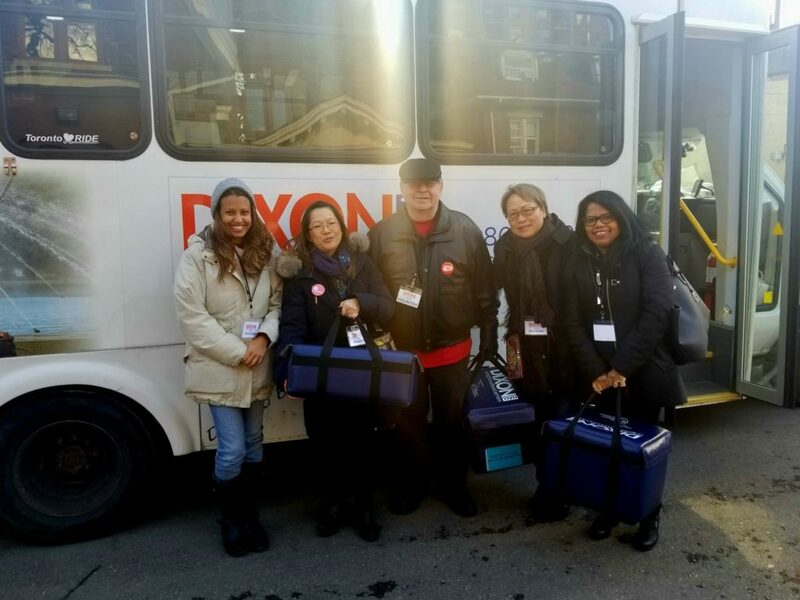 Dixon Hall’s bus will pick you up from your office between 11:30 am and 11:45 am and bring you directly to our office at 192 Carlton St. You are assigned a route to deliver meals along with your co-workers. You are driven back to your office between 1:30 pm to 2:00 pm. Head into the weekend on a charitable note and come together with your colleagues to prepare a hot breakfast for community members in need, providing them with a nutritious meal and fighting food insecurity. This is an opportunity for teams of up to six people to prepare, cook and serve breakfast for community members who may live in vulnerable housing situations and/or have food security issues. Includes a presentation by our Housing Services staff about the importance of food security and how food programs increase the rate of success for individuals who are transitioning from precarious housing/food situations to more stable circumstances. In teams of up to 6 people, help prepare, cook and serve breakfast to about 40 members of the community who may live in vulnerable housing situations and/or have food security issues. 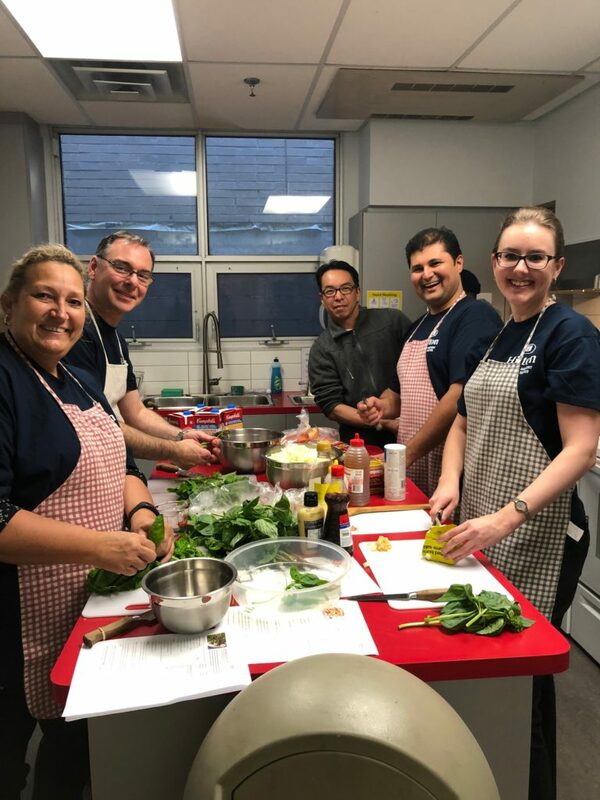 Make Tuesday evening a night to remember by collaborating with your colleagues in the kitchen, preparing dinner for those in our community in need of a hot meal and a friendly smile. This is an opportunity for teams of up to six people to prepare, cook and serve dinner for community members who may live in vulnerable housing situations and/or have food security issues. In teams of up to 6 people, help prepare, cook and serve dinner to about 40 members of the community who may live in vulnerable housing situations and/or have food security issues. Looking for a way to contribute to your community with your co-workers? 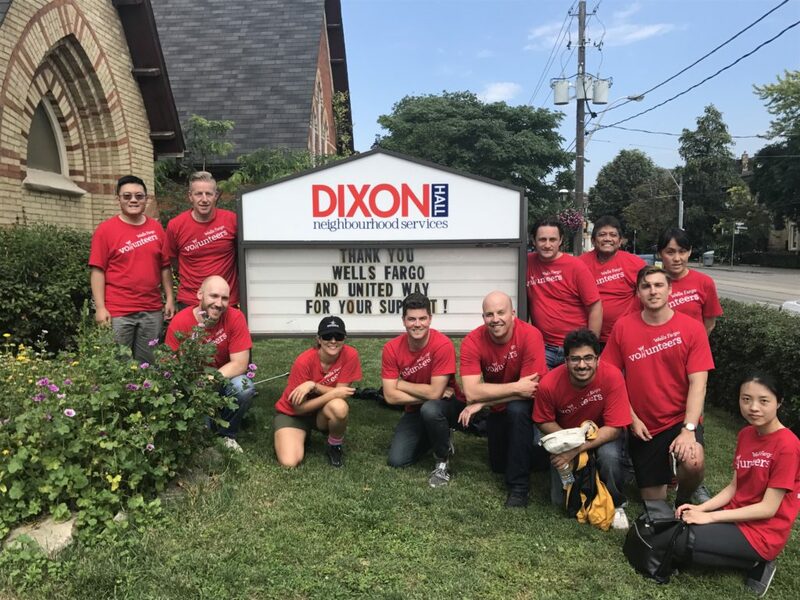 Consider running a hygiene kit collection and assembly event in support of Dixon Hall’s Housing Services programs. Kits are distributed to shelter guests, food program guests and clients working with our Case Management and Harm-Reduction teams. Collect travel-sized hygiene products for distribution to guests of Dixon Hall’s shelters and/or participants in our various Housing programs.